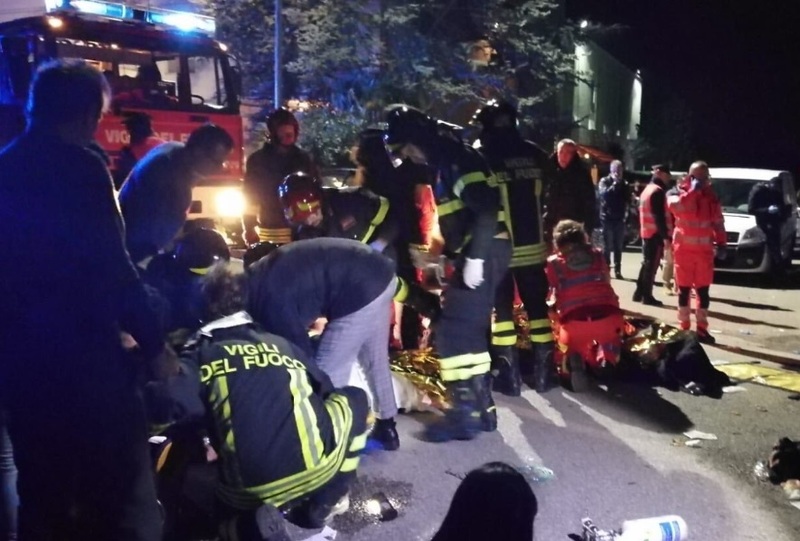 Italy is waking up to a national tragedy this morning after fire and emergency services have so far confirmed six dead (5 minors) and 35 wounded (of whom 12 with serious injuries) after a stampede occurred during a rap concert. Most of the dead and wounded are teenagers. The deadly stampede took place in the town of Corinaldo where Italian rapper Sfera Ebbasta was promoting his latest album in a nightclub. The town is located near the city of Ancona (in central Italy). The panic erupted in the early hours of Saturday morning. Ancona police chief Mr Oreste Capocasa explained that the dead included three girls, two boys and an adult woman (a mother who had accompanied her daughter). He also admitted that the number of dead could rise in the coming hours as 12 of the wounded are in critical condition. "The cause may have been the dispersal of a stinging substance, the young people fled and trampled over each other. Sadly, six people died and dozens are injured," the fire services admitted in a statement. Reports claim that some 1,000 people were in the Blue Lantern club in the town of Corinaldo for the performance by Italian rapper Sfera Ebbasta, much more than what was normally allowed. “We ran to one of the emergency exits but we found it blocked, the bouncers told us to go back." Authorities are investigating whether the emergency exits were working properly.